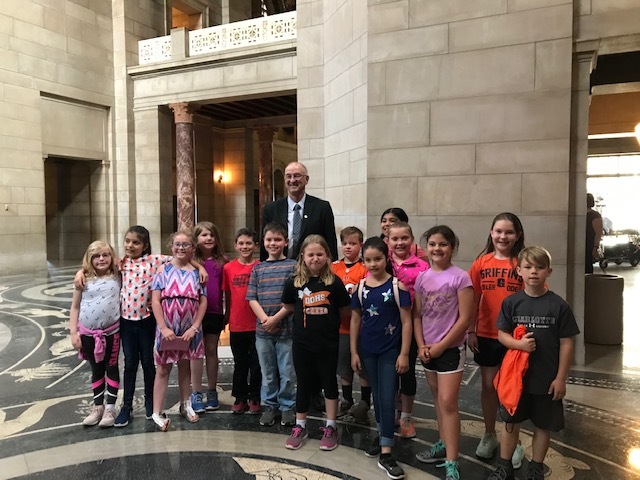 A very large flag visited the Capitol this week (usually our visitors are people!). A retired firefighter from New Jersey is taking the flag around to all the state capitols and enlists the help of local firefighters and veterans. A class of 4th graders from Norfolk also got to participate as they exited the building to get on their bus. The organizer hopes to take the flag to Normandy in time for D-Day commemorations in June. 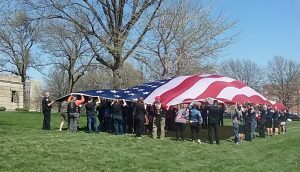 The flag display was right outside the District 30 office window. It is field trip season at the Capitol! 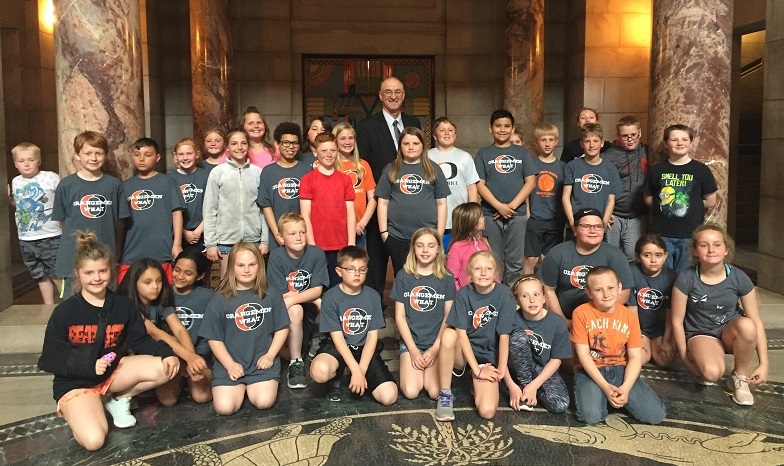 Visitors on April 16th included Stoddard Elementary, Beatrice; and Diller-Odell 4th graders. 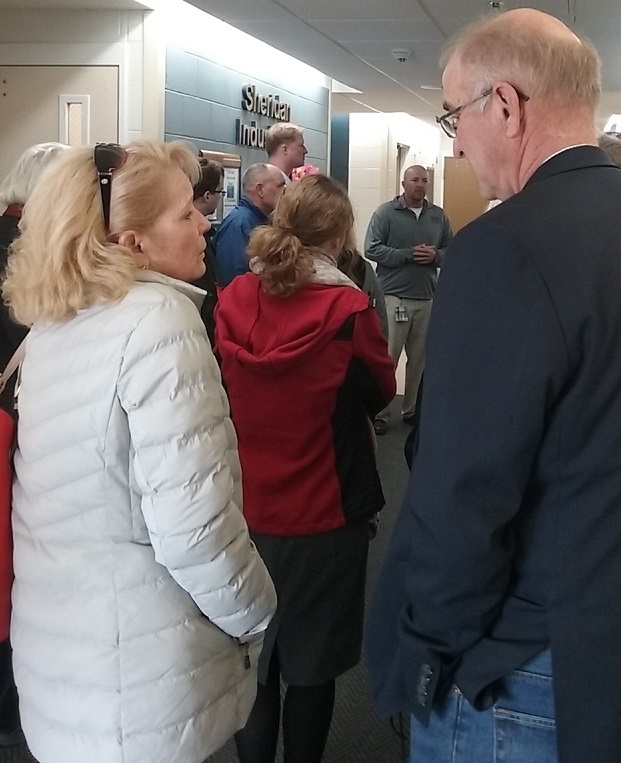 Several state senators and staffers were our guests at a tour of BSDC on Friday, April 12. 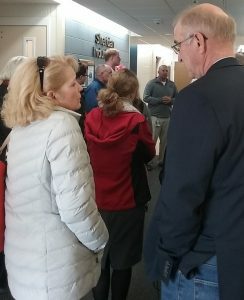 We walked the campus and met with residents and their families, care givers and administrators. 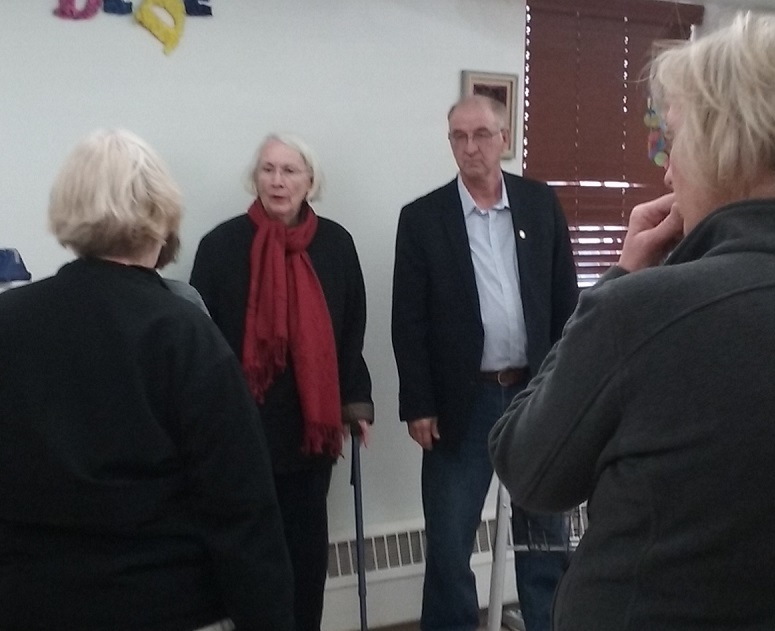 The event was organized by the Family and Friends organization, the parents and guardians of residents at BSDC. Pictured above left: Monica Brettinger, leader of Family and Friends, Sen. Dorn, and Sen. Walz of Fremont. Picture above right: Sen. Dorn talks with parent Dee Valenti. 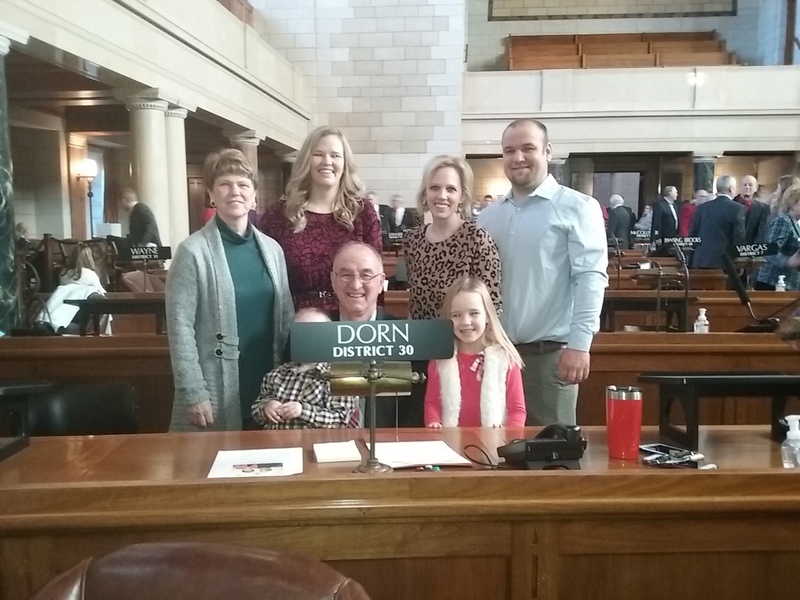 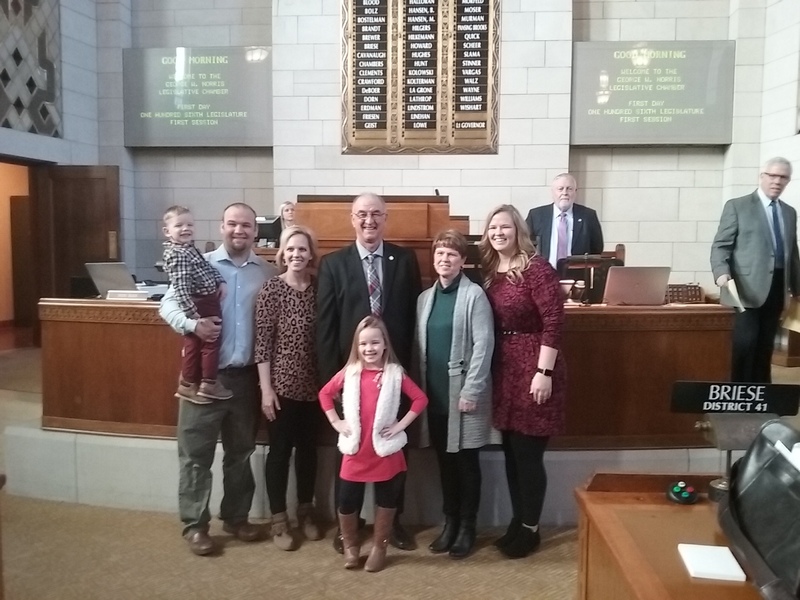 Senator Myron Dorn, with his family on the first day of the 106th Legislature.